Studio 11 Pittsburgh is conveniently located just minutes north of downtown Pittsburgh off I-279. Our 3500 square feet of floor space with state-of-the-art sound absorption and a 17’ lighting grid is just the beginning. 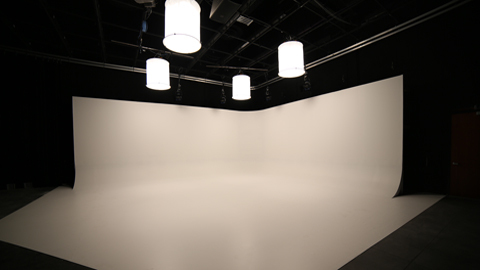 Included in the rental of our studio space is our 900 square foot White Cyc and a 15’X15’ Chromakey Wall sits in the opposite corner. The studio is also equipped with a 180° Black Cyc curtain, a CTV TelePrompter, and there’s still enough space for you to create your own set. Cameras for use within our studio and a 12’X9’ Single Source Video Wall are available for rent as well. Other high value amenities include a private green room, convenient vehicle access, high speed Wi-Fi, excellent AC and heat, kitchen and plenty of free on-site parking. Arri/Zeiss Ultra Primes are the industry standard cine lenses and offer crystal clear color and contrast with excellent matching across all focal lengths. For technical clarity, sharpness and a beautiful look, nothing compares to the Ultra Primes. The five lens set includes: 16mm, 24mm, 32mm, 50mm and 85mm. 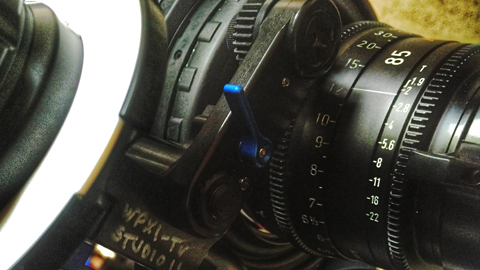 Follow focus, matte box, filters and other accessories are also available for rent. Call 412-237-1225 or email studio11@wpxi.com for more details and pricing information.